RE-WRITE OF DANGER DAYS. (PART ONE IN THE TRUE LIVES OF THE FABULOUS KILLJOYS SERIES) In the aftermath of the cleansing fires of 2012, Better Living Industries took over the world. Forcing pills down the throats of nations. The pills that are supposed to make you happy. Instead they turn you into emotionless robots set to kill. Rebellion is rare, but there are five people willing to give up their lives to fight for what is morally right. When something unexpected impacts two of the five, which puts one of them at risk; will there be mercy shown to someone so vulnerable? 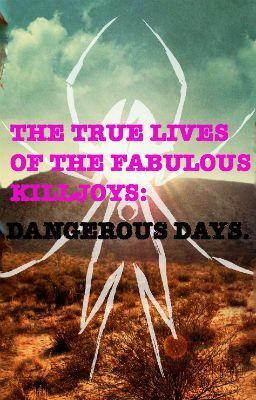 THE TRUE LIVES OF THE FABULOUS KILLJOYS : DANGEROUS DAYS.